This 1-2 Alternator Variable Voltage Regulator is designed for use with separate charging system. Now you can adjust your alternator voltage from 13.8VDC all the way up to +20VDC It can handle up to 18a of field current. Your alternators will need to be equipped for use with an external voltage regulator to use with this item. 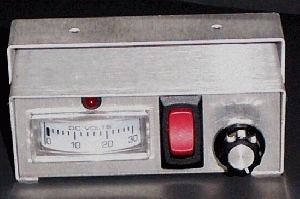 A Voltage Meter Is Included With This Unit.